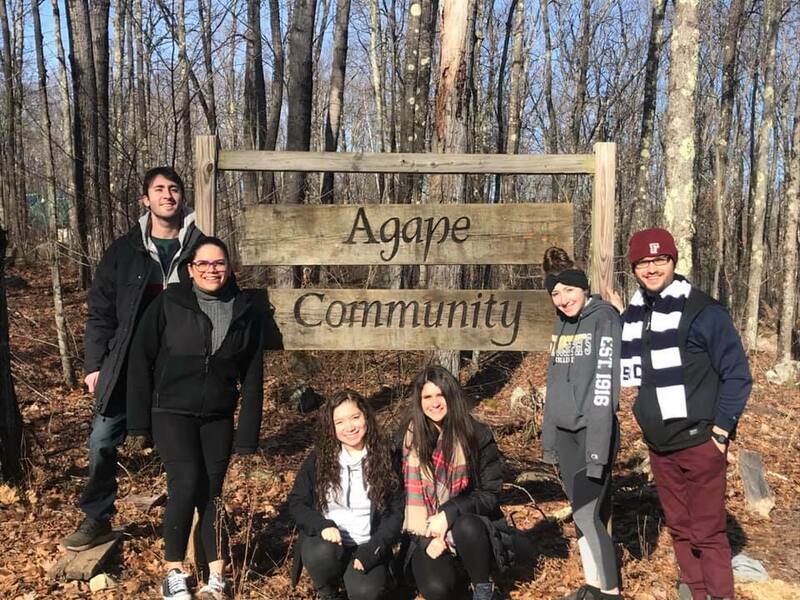 Students from St. Joseph’s College in Long Island spent a spectacular four days at the Agape Community. Our Agape stalwart, Pat Tracy, who died a year and a half ago, was the reason for our knowing all of these wonderful students. 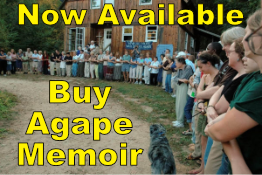 We felt the love and spirit of Pat pervading all we did on this contemplative four days of prayer, walks and the healing power of nature in the land of the Nipmucs. “Those who contemplate the beauty of the earth find reserves of strength that will endure as long as life lasts” – Rachel Carson? Hauling wood is easier when done together. 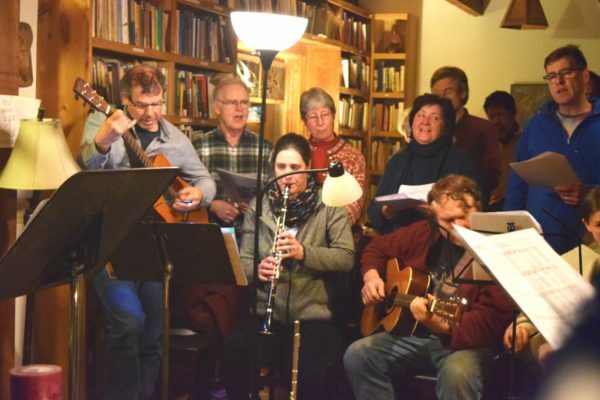 Music and friendship by the fire. Even in the middle of winter, there is no place like the Quabbin Reservoir. Finding peace and healing in the woods.